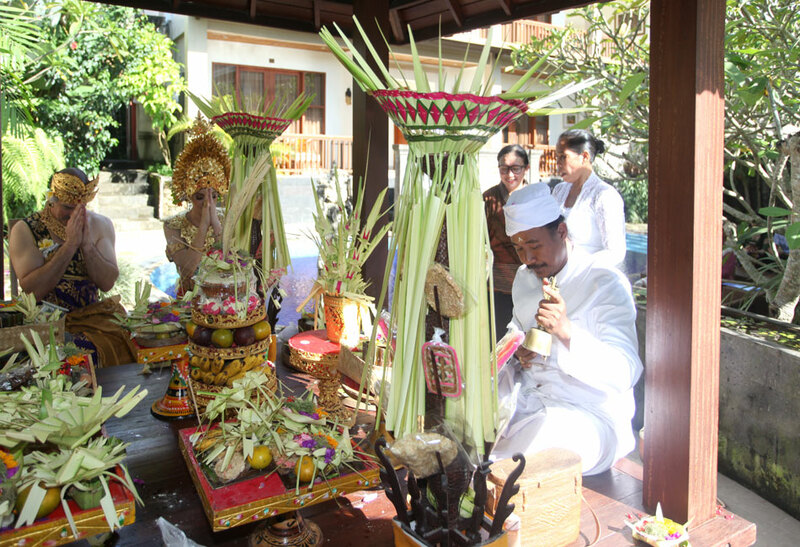 Cynthia and Mark always love and respect Balinese Culture and Traditional so celebrating their 20th Wedding Anniversary, they decided to have a special Balinese Blessing Ceremony on 14 February 2018 in Ubud. Blessed by Balinese Pemangku, they made an oath to stay together all the time till the rest of their life. We wish their true love will keep growing in their marriage and all happiness in any future holes. Congratulations for your Platinum Anniversary!